This multi-functional bandana is seamless as it is made of one piece. It is extremely durable and does not change shape. The material used is 100% moister-wicking polyester which guarantees durability and dries incredibly quickly. This is an item of clothing suitable for everybody and all activities. It is very comfortable to wear and protects from adverse weather conditions such as wind, sun, snow, ... 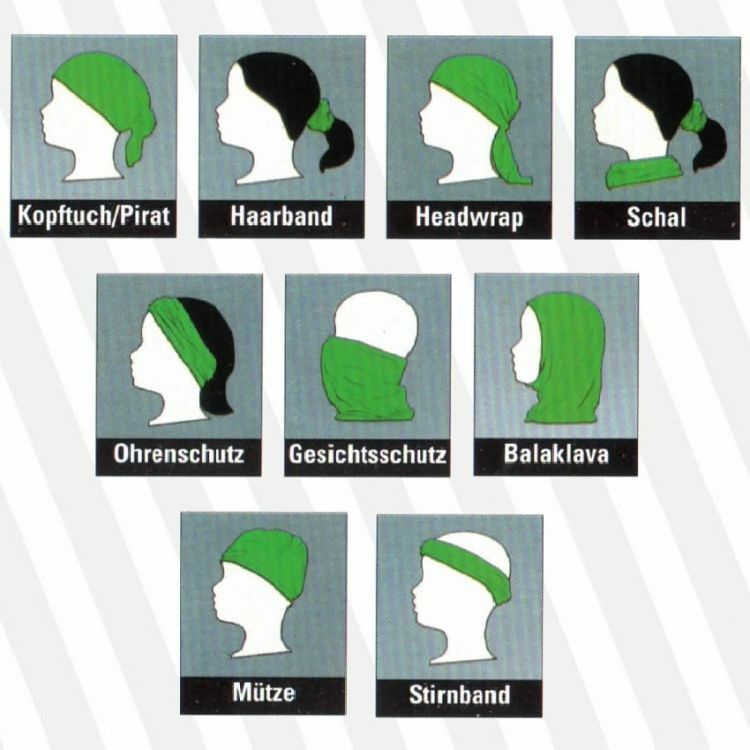 Wear as bandana, hat, headband, sweatband, hair band, storm balaclava, neck warmer or desert scarf. One-size-fits-all.